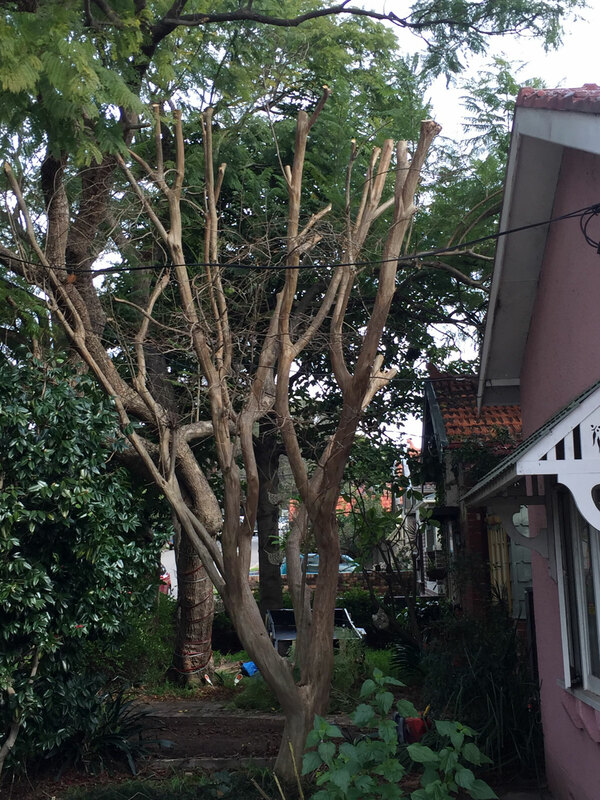 Burwood council approved one third of this Crepe Myrtle be lopped. Although not all pruning requires council approval, it is very important that council has been consulted, and approval is obtained, if necessary, before calling in a arborist to do any tree work. Councils may issue hefty fines for lopping or tree removal which has not been approved. This is the responsibility of the owner of the tree.